DS Nancy Devlin leads a double life, with a high-flying police career and a secret attachment to the criminal father of her best friend from childhood. When he's murdered, she's placed in the middle of the investigation, with a killer stalking her. 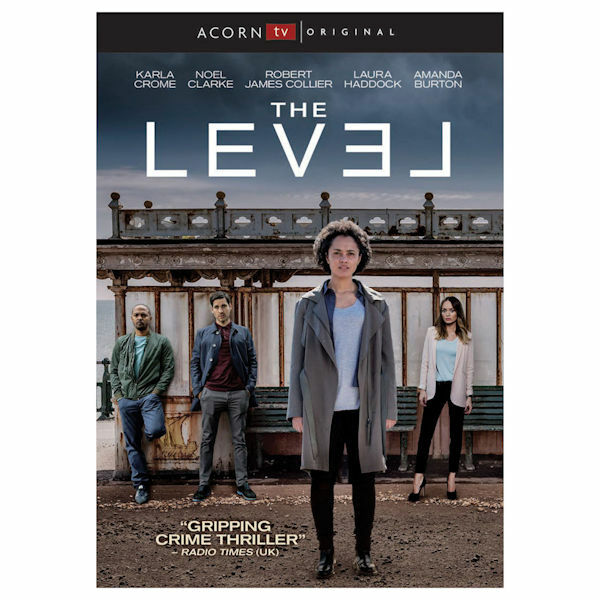 This British thriller boasts a stellar cast including Karla Crome (Prisoners' Wives), Philip Glenister (Life on Mars), Rob James-Collier (Downton Abbey's Thomas Barrow), and Noel Clarke (Star Trek into Darkness). 4 episodes, 2 DVDs or Blu-ray discs, SDH. Mature audiences.